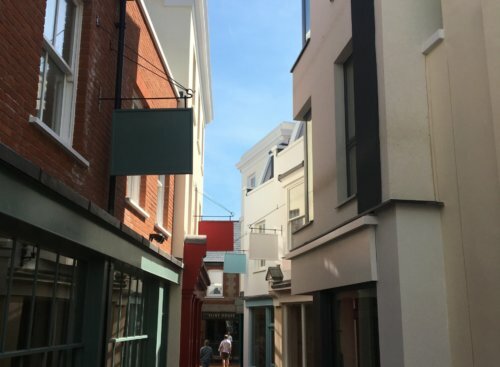 Hanningtons Lane has opened to the public and visitors are able to walk down Brighton’s newest Lane for the very first time. HOP have been working with Morgan Carn, Redevco and Westridge Construction on the creation of the city’s new retail and cultural quarter for two years and retailers are now starting to move in. HOP Director, Nigel Hosker, will be joining the Brighton & Hove Property Consortium in The Seven Ports Challenge Charity Cycle Ride 2019. The Brighton & Hove Property Consortium is a group of local property professionals that host an annual cycling event to raise money for local charities chosen by the current Mayor of Brighton. This year’s charities include: Martlets, Rockinghorse, Grace Eyre Foundation and Off The Fence. HOP announces that as of January 2019, Finance Director John Spearman is to be appointed Managing Director. John Spearman assumes this role from Jon Orrell who has served as Managing Director/Senior Partner since the businesses inception in 1985. 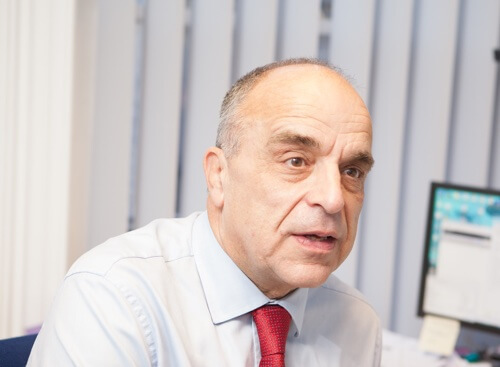 John has been working closely alongside Mr Orrell for the last 18 months to allow for a smooth transition of the business and continuity of leadership. 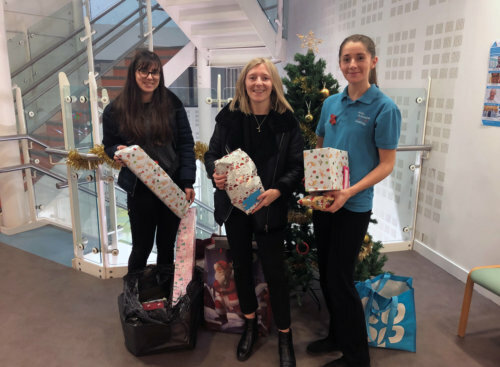 On Tuesday 18th December, we dropped off gifts, donated by our staff, for the children at the Royal Alexandra Children’s Hospital in Brighton. We also donated some supplies for the Trevor Mann Baby Unit, a unit close to the heart of many of our staff. We send our wishes to all the children receiving treatment over the Christmas period, and our gratitude to all the staff at the hospital and the unit who do such an amazing job. Every September, HOP organise an annual Staff Team Building Day. 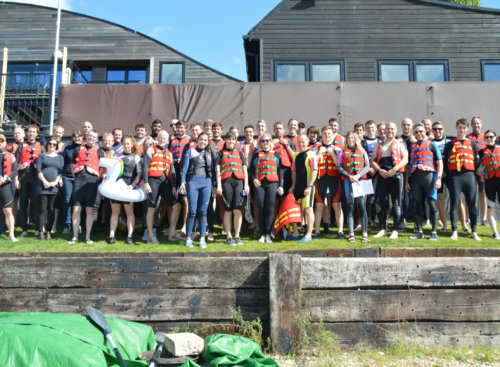 This year’s event was marine themed and staff enjoyed an exciting day taking part in the activities on offer at Chichester Watersports Centre. 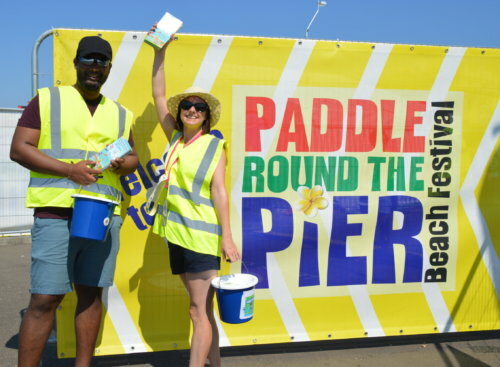 Paddle Round the Pier is the world’s largest free beach and watersports festival. It is organised every year on Brighton seafront and features the best in watersports, live music, kids’ entertainment, and more! HOP Managing Director, Jon Orrell, assisted in the organisation of the festival this July and encouraged the whole company to get involved. HOP hosted a retirement party for Accounts Manager, Linda, who has worked at HOP for 30 years! Being a lifelong Brighton & Hove Albion FC fan, we arranged a special guest appearance by Bruno to congratulate her on her retirement and to say thank you for all her commitment to HOP. 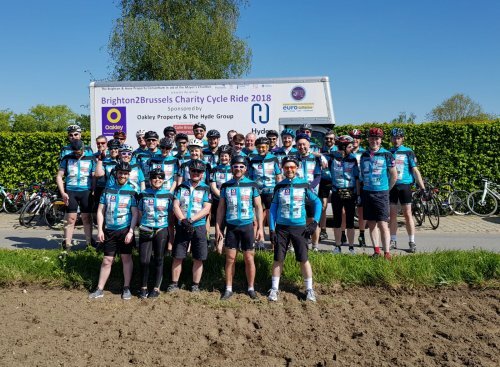 The Brighton2Brussels Charity Bike Ride was completed this year by Will on behalf of HOP and as part of the Brighton and Hove Property Consortium (B&HPC). The B&HPC organises a charity cycle ride every year in aid of the Brighton Mayor’s Charities, which this year were Albion in the Community, the Martlets Hospice, RISE, the Clock Tower Sanctuary and the Sussex Heart Charity. 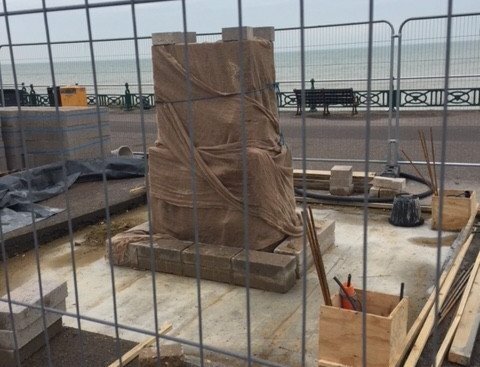 The completed Hove Plinth was revealed on Saturday 21st April. Hove Plinth will showcase a new local sculpture every 12-18 months on Hove seafront. HOP provided advice to overcome the design challenge for the plinth to accommodate a wide range of future sculptures. 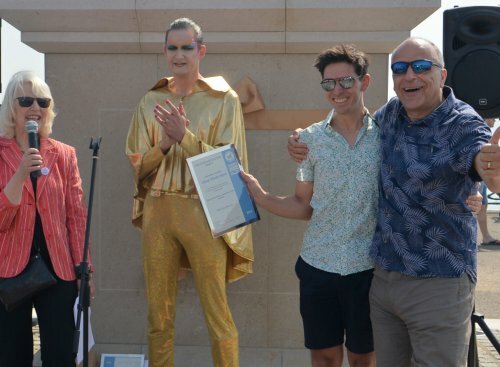 As a result, we were awarded ‘Hove Plinth Heroes’ for our contribution. On the 26th February, the ‘Hove Plinth’ Project Team were featured on BBC’s South East News to celebrate the start of construction! This plinth will showcase a new local sculpture every 12-18 months on Brighton Seafront. Work will take place on the site over the next eight weeks with support from HOP and a number of local firms who are contributing work free of charge, including Matsim, Millimetre and RLF.